The New day walks to the ring dressed as Christmas characters and hand out gifts. Woods goes into his favorite holiday traditions like drinking coco and sprinkling booty o’s all over it. Big E. and Kingston thank the troops and tell everyone to keep those who can’t be home with their family in their minds. Woods starts a USA chant. Rousey and Natalya work over Morgan. Morgan catches Natalya with a back elbow. Natalya picks up Morgan and slingshots atomic busters her. Basement dropkick by Natalya. Morgan tags in Tamina. Tamina slams Natalya down to the mat. Jax and Tamina take turns beating down Natalya. Tamina misses a corner splash. Logan tags herself in mocks Rousey. Logan puts Natalya in a rear chin lock. Natalya fights to her feet. Logan drops Natalya with a dropkick. Natalya manages to tag in Rousey. Rousey judo throws Logan around the ring. Rousey beats down Logan in the corner. Tamina tries to splash Rousey but Rousey moves out of the way. Natalya discus clotheslines Tamina. Rousey is about to put Logan in the armbar. Riott distracts Rousey. Logan and Morgan attack Rousey from behind. Rousey puts Morgan and Logan in the armbar at the same time. Morgan and Logan both tap out. 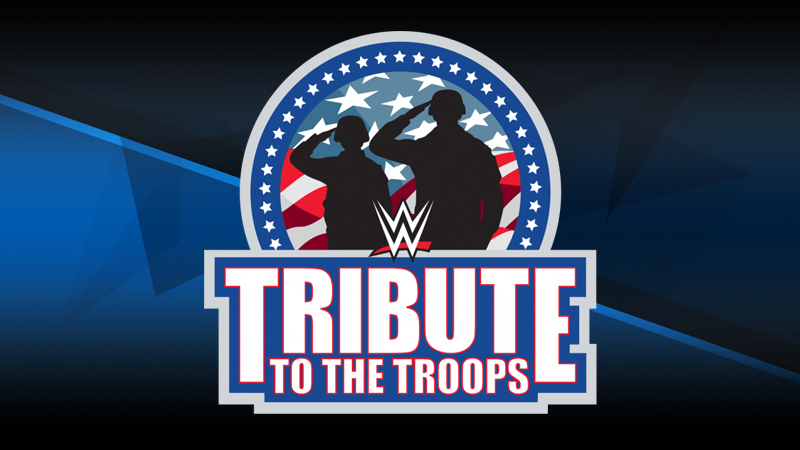 WWE Tribute To The Troops Results Continue On The Next Page!